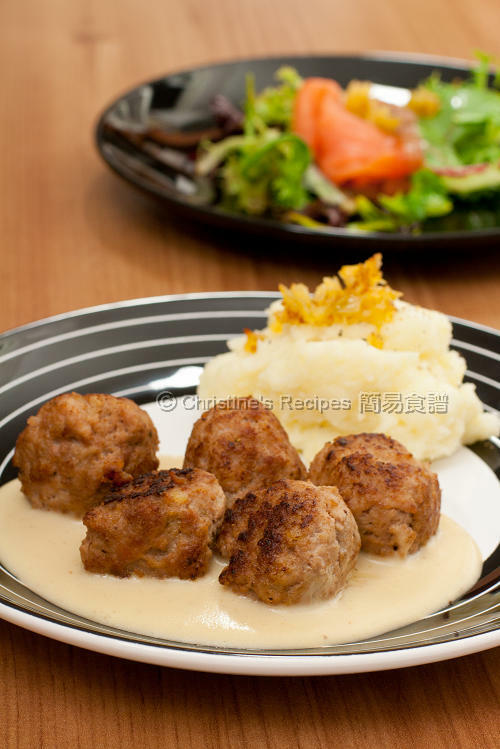 I like their meat ball also, and I have tried to make it at home myself, with a little twist though. In addition to all those ingredients you listed, I added some grated cheddar cheese (or any cheese of your choice, but not too much) to the mix of the meat in step 3. 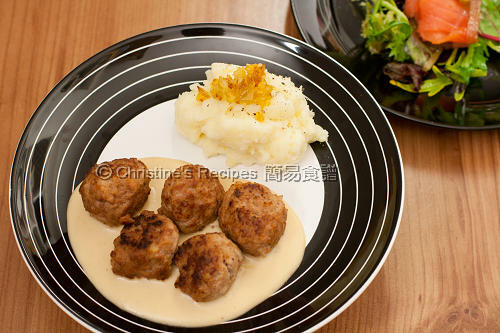 The result was great, and my family loved it, especially when they bite into the meat ball and the melted cheese coming out. I hope you get a chance to try it, and share with us what you think. Could you tell me where can I buy lingonberry 果醬 in Hong Kong ? @Catherine: When you go to Ikea, try to find some there, or ask the staff if they have some available. Their lingonberry 果醬 is so good. Yes that is what i mean, all my cookbook is using dl. 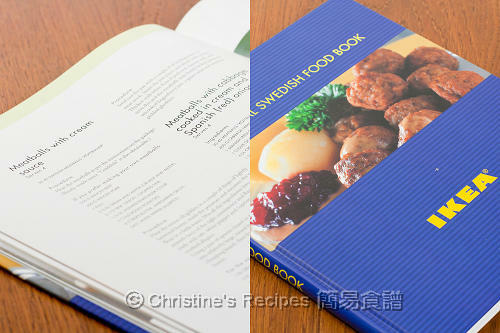 至於什麼是smorgåstårta？Smorgås和tårta在瑞典語是sandwich和cake的意思。這種“好瑞典”(very Swedish)的“蛋糕”是一層一層的，而且沒有規定的做法，製成品千變萬化。正所謂a picture is worth a thousand word..
请问 忌廉 （鮮奶油 cream）是什么？ cream cheese, whipped cream or....??? hi christine, 如果我唔用牛肉湯整個汁 (因為我媽咪唔食牛)，可以改用上湯或者用乜野取代呢? thanks!